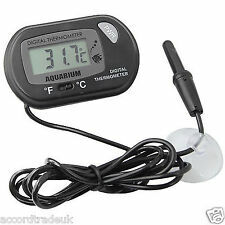 You want to take good care of your aquarium, then you have to know the real tempreture of the water. 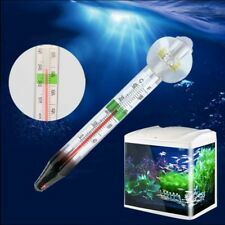 Let this be helpful to well keep your fish. 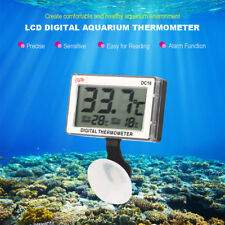 It is the good choice for aquatics. Fits into the JBL CristalProfi m internal filter clamp. 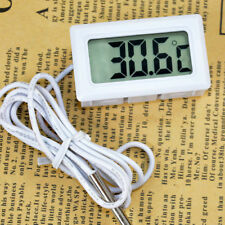 It can be used to test both indoor and outdoor temperature and humidity. Big screen display, clear digital show. 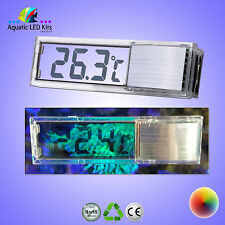 Temperature test range: -50-70℃. Due to the light and screen difference, the item's color may be slightly different from the pictures. 1 x LR44 button battery (included ). Usage humidity: 5%~80%. Cable length: 95 cm. Size: Appr 4.8 x 2.8x 1.5 cm. Power: 1 X LR44 button battery (included ). A switch of °C / ℉. it is 0.1°C, When temperature ≦–20℃, it is 1°C. Peel of reverse sticker and adhere to the outside of the aquarium. 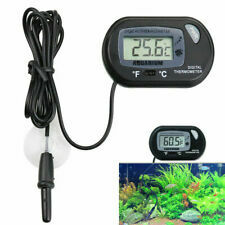 Suitable for cold water, tropical and marine aquarium. Black, with colour indicators. 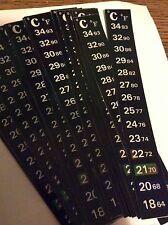 Both Centigrade & Fahrenheit range: 18-34 °C / 64-93F. Dual dial plate,for Celsius and Fahrenheit,for your different needs. -10 - 100 Celsius and 0 - 220 Fahrenheit. Accuracy of /- 1%. Thread: 1/2" NPT. Color: As pictures shown. Due to the difference between different monitors, the picture may not reflect the actual color of the item. 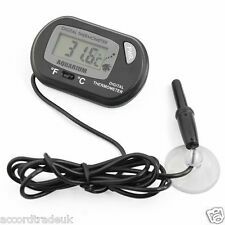 Temperature Range: 0 - 60 degrees celsius. 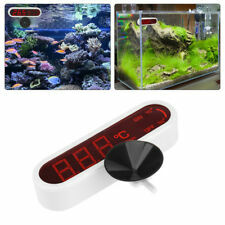 Attaches to inside of aquarium glass with suction cup. 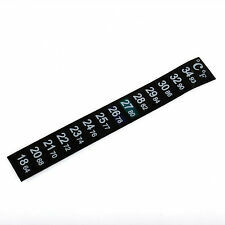 Easy to read scale with 'Acceptable Temperature' band. Attaches to inside of aquarium glass with sucker. 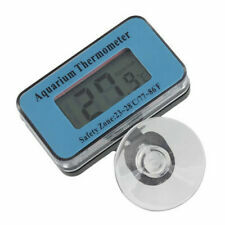 As a general rule, 21-27°C (indicated by the green band) is acceptable for most commonly kept tropical fish. If the surrounding temperature is 27°C, then the background of scale mark 27°C will turn colorful and other scale marks remain black. 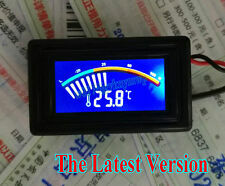 Note: The real color of the item may be slightly different from the pictures shown on website caused by many factors such as brightness of your monitor and light brightness. LCD Screen with sucker. Easy to install and read. - Range Temperature: 0℃～ 50℃ ( 32℉ �� 122℉). Good quality! Excellent Service! People always bought together with.